MUMBAI: While the nation is struck by the Gully Boy fever and Ranveer Singh, his team have become a rage; there is someone who is saying – Mera Time Aayega. Well, we are not talking about any Indian actor, DIVINE, Naezy, or any rapper or singer from India, but internationally famous and Grammy Award winner DJ Diplo. The DJ seems quite fascinated by Ranveer Singh’s high punch look and performance in Gully Boy, which is quite evident in the trailer and songs, which are making a lot of smoke. 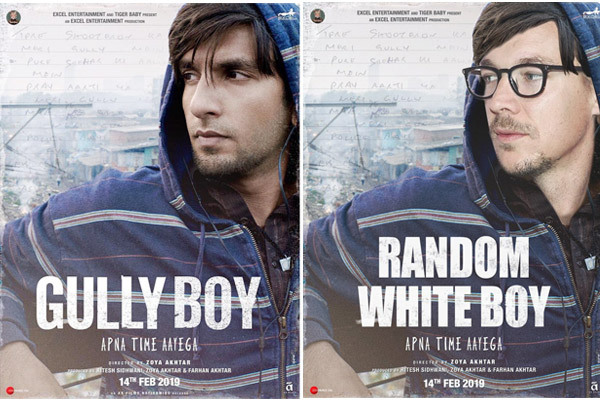 Diplo took to his Twitter handle and actually chopped Ranveer from the poster of Gully Boy and replaced his picture with it. He then tweeted it on his official Twitter handle, with a caption that grabbed global eyeballs, especially of Indians. He tweeted, “Mera Time Bhi Aayega.” Also, the striking part was that he tweeted it in Hindi. Well, we will have to wait to know if DJ Diplo was teasing Ranveer that he is also coming with something of that sort or just a fan of Ranveer Singh and the Gully Boy film clan, but we think Diplo is in awe with Ranveer’s fabulous performance. Meanwhile, Gully Boy was premiered, today, at the Berlin Festival. Directed by Zoya Akhtar, the movie is slated to release on 14 February 2019. It is based on the life of rapper DIVINE and Naezy.